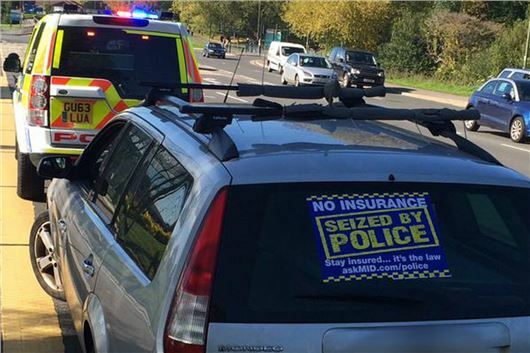 British law compels every driver on the road to be insured. But British Insurers make this more difficult and expensive than Insurers anywhere else in the World and use the police to criminalise anyone not conforming to their rules. The ridiculous rule that outlaws vehicle 'any driver' insurance and requires full disclosure of all driving offences is causing nightmares for people wanting to loan their insured cars to foreign visitors and even for Britons to hire cars in the UK. If selling a car privately, in most cases, insurance prevents them from legally allowing the buyer to test drive the car. Removal of the photocard driving licence paper counterpart "to save paperwork" has actually created 20 times as much paperwork as British insurers insist that every detail of every driver has to be checked. Analysis reveals the financial penalties for drivers convicted of IN12 offences have increased by 45 per cent since 2013, with the average level of fine increasing from £187.60 in 2013 to £271.30 in 2015. Research by Churchill Insurance reveals that in the last 12 months alone more than five million Britons have lent their car to someone who is not on their insurance policy, with 650,000 of those (13 per cent) not even checking if they are legally covered to drive the vehicle, according to new analysis by Churchill Car Insurance. Some insurers cover drivers for ‘Driving Other Cars (DOC)’, which allows them to legally drive other vehicles, but covers third party risks only, leaving the driver financially liable for any damage they may cause to the vehicle. But car owners who lend their vehicle to someone who drives it without valid insurance can be convicted of an IN12 offence. An IN12 offence is technically described as "aiding, abetting, counselling or procuring using a vehicle uninsured against third party risks." Brits risk being disqualified from driving for lending their cars to friends and family to complete everyday journeys, such as going to IKEA. In the last 12 months when people let someone else drive their car the most popular reasons were to pick up something (13 per cent), such as furniture from IKEA, and loaning their car to someone “just because they asked” (13 per cent). A further 11 per cent did so because they were over the drink drive limit. One in 10 (11 per cent) allowed their friends to drive their car so they could commute to work, which suggests that this is not a one-off issue. So what need to happen is not for Insurers to create offences through non-compliance with ridiculous rules. It is for Insurers to get their collective acts together and insure every car for every qualified driver so the 'offences' don't exist.